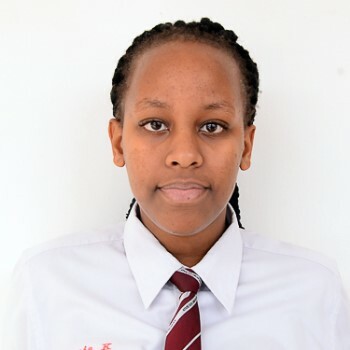 It is with great pleasure that Riviera High School Congratulates Karita Sonia Uwizerwa, who has scooped a full scholarship at the Mighty Stanford University, in the United States. She is going to study Aerospace Engineering. Sonia was doing Physics, Chemistry and Mathematics (PCM) as her core subjects in addition to Entrepreneurship and General Studies and Communication Skills as her Subsidiary subjects. She obtained the highest score in all the subjects. Her excellent performance was not a surprise. Sonia was a role model; who stood firmly on the three pillars of discipline on which Riviera stands; Spiritual Discipline, Social Discipline and Academic Discipline. We are optimistic that she will add a great deal to the incoming class of her area of study at Stanford University. We can also envision Sonia as a highly competent young lady who will perform her duties as a true professional in her field of study someday in the future. Credit goes to the Staff and Management of Riviera High School, for their selfless and hard work, the students for their hard work and our dear parents and guardians for playing their role in nurturing the young ones. It is with this combined effort that we are able to realize excellent results year after year. We are grateful to the Almighty who has enabled us to be what we are. It is such a great feeling to see one of our own being honored with such a great opportunity. We wish her all the best together with all the other students joining various tertiary institutions across the globe.